So I was given a few pieces of foam awhile ago(its nearly impossible to find here in South Florida) and finally decided to make something out of it. 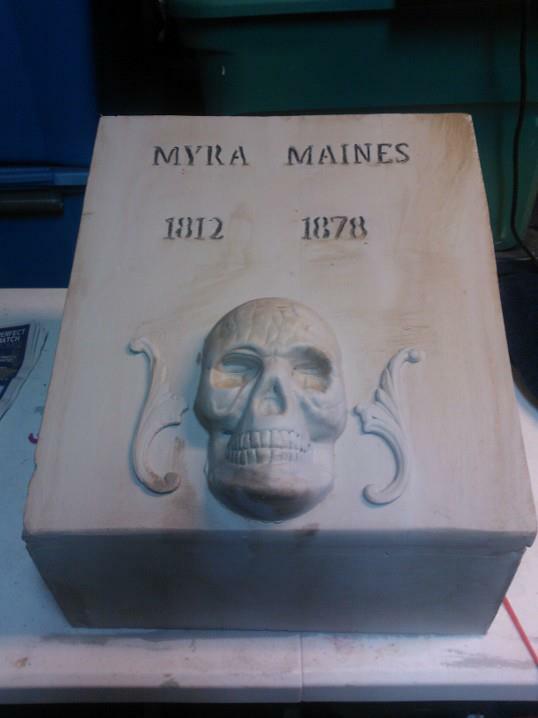 The pieces I was given were an odd shape so I decided to make a grave marker. I really dont like the paint job on it mostly because the gray paint I used was really old and refused to lay down so it stayed really thick. I made this mostly as a way to hide a flood light for next year I am a huge fan of indirect lighting and not being able to see the light sources.